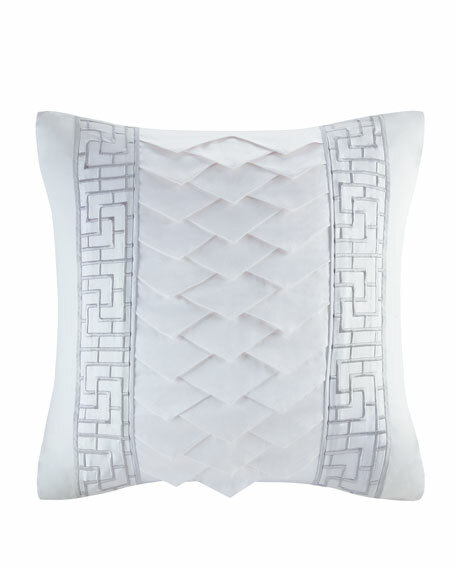 Decorative pillow with geometric panels and center triangular overlay pattern. Face and back, silk/cotton; filling, feather down. For in-store inquiries, use sku #2177411.